I can’t rave enough about our latest girls’crafting night. It was awesome for several reasons. The activity was great, the uninterrupted adult conversation was refreshing, and the participation was top notch. 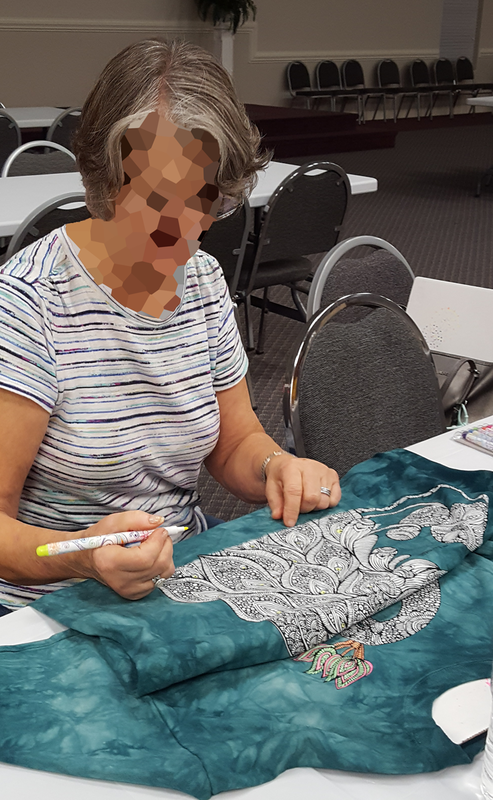 With the adult coloring craze, all of us were excited to try out a new dimension in the coloring world: T-shirt Coloring. 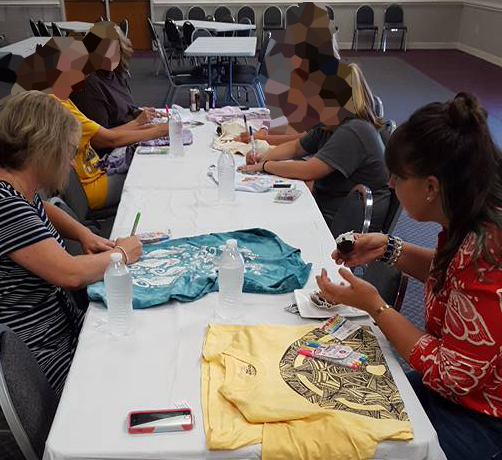 It was my honor to host a T-shirt Adult Coloring Night. 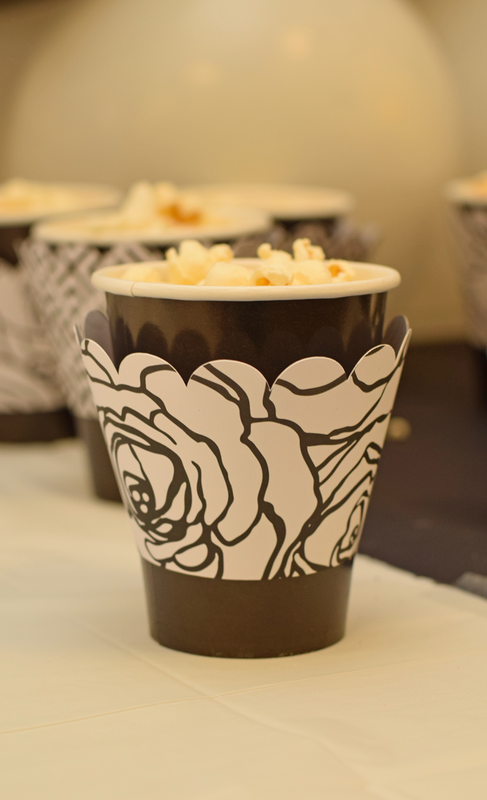 Are you looking for a new girls’ night out or girls’crafting night idea? 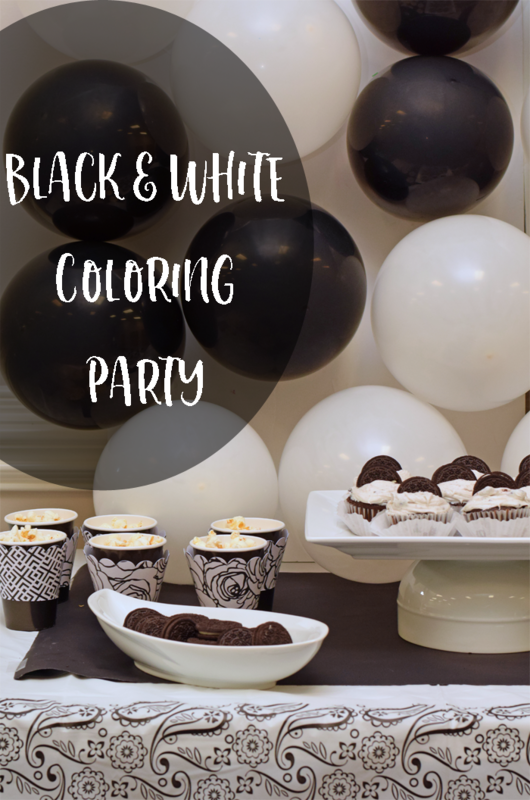 Check out our Adult Coloring Party, including a Black and White Coloring Themed tablescape! 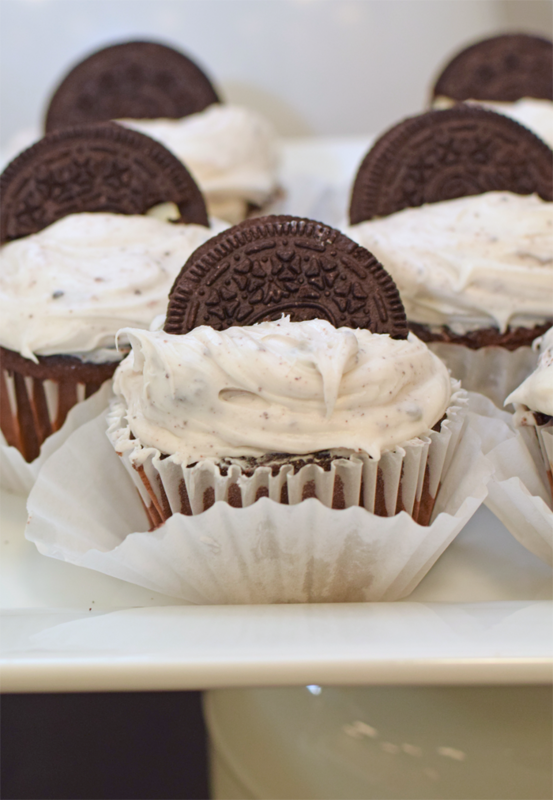 No party is complete without snacks! 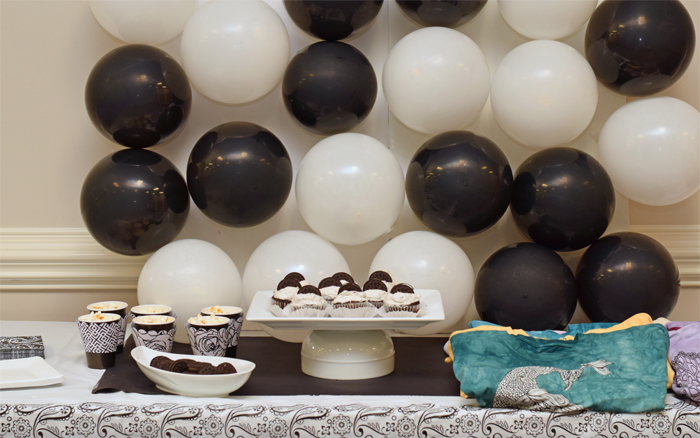 For this party, I created the snack table to be black and white, like a coloring page. 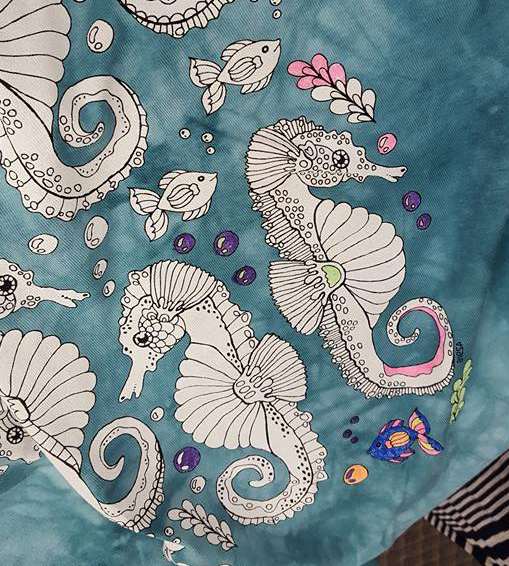 I found a great coordinating tablecloth. 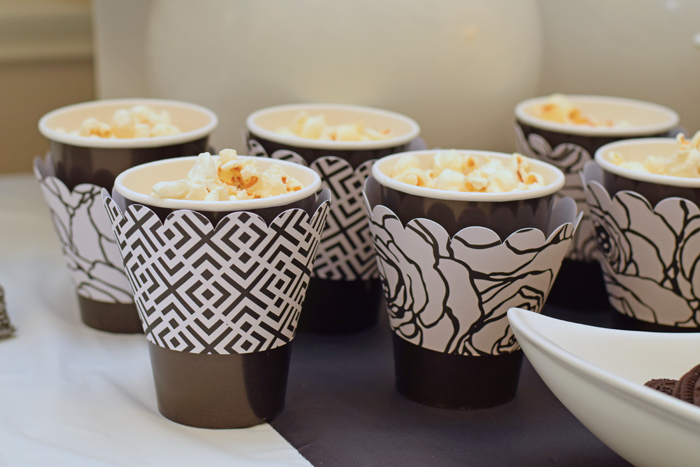 I made popcorn cups that had a removable wrapper that could be colored. 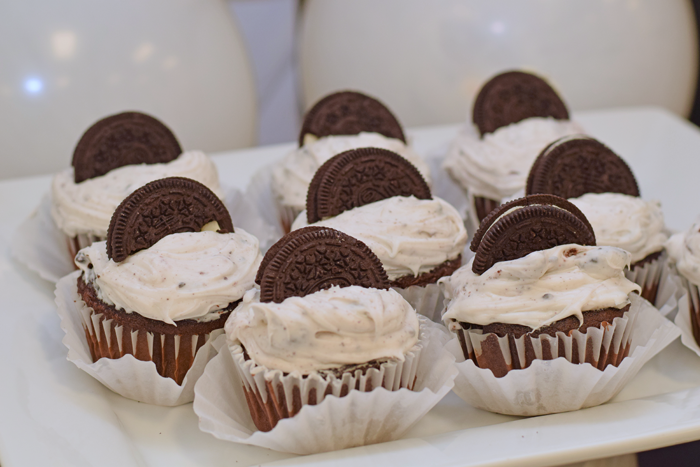 Cookies and cream cupcakes were the star of the table. Of course, everyone was really there for the activity! 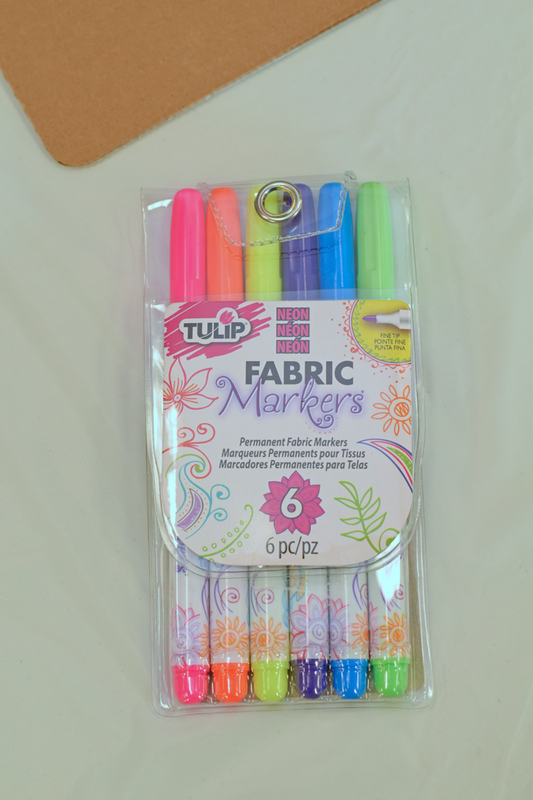 I had a selection of Colorwear T-shirts and fabric markers. 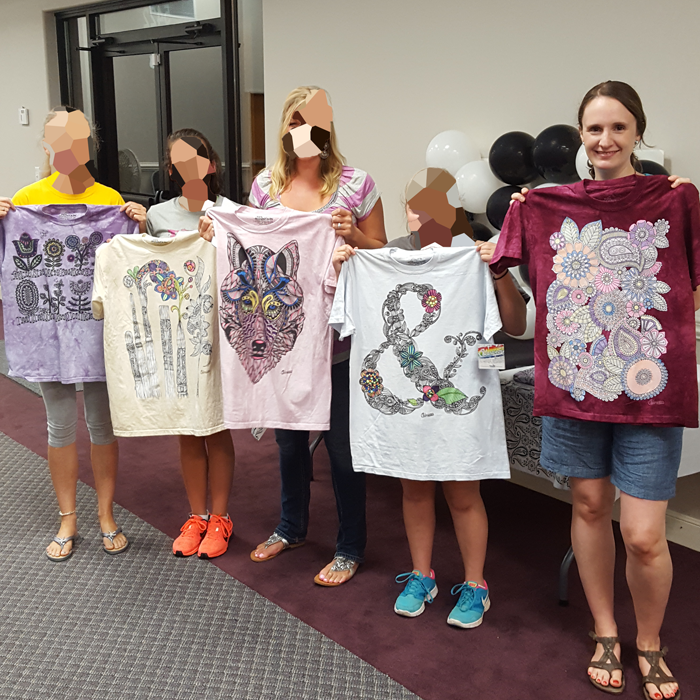 Each attendee chose their shirt, and then we settled in for a fun night of coloring and relaxation! All of us had experienced stressful weeks. Some of the ladies had experienced unbelievably tough days. 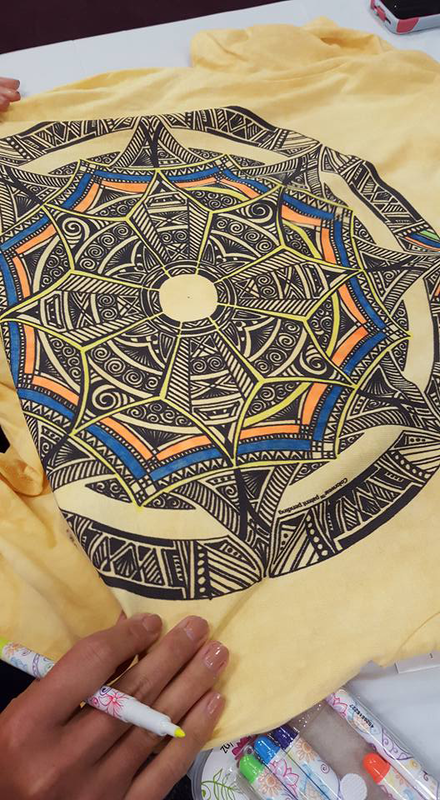 But there is something about coloring that allowed our minds to relax. The conversation flowed as our minds cleared and the markers colored. I loved seeing everyone’s creativity in the way that they coordinated colors in their shirts. I took lots of in progress photos throughout the evening. A few ladies sneaked out before I could get a group photo, but here are a some of us showcasing our colored shirts! You may recognize my friend Mary below. Her shirt looked awesome! We had an excellent night, and I’m already excited to plan another one for our group! Say, what? 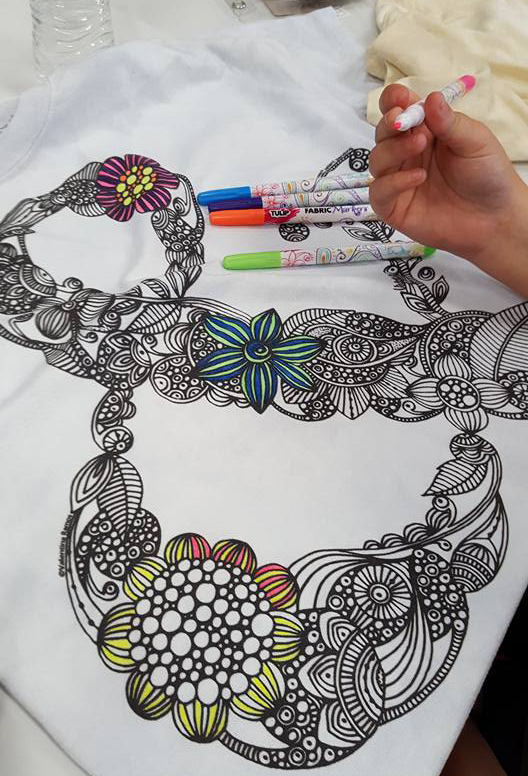 You would like to host a Colorwear T-shirt coloring night for your crew? 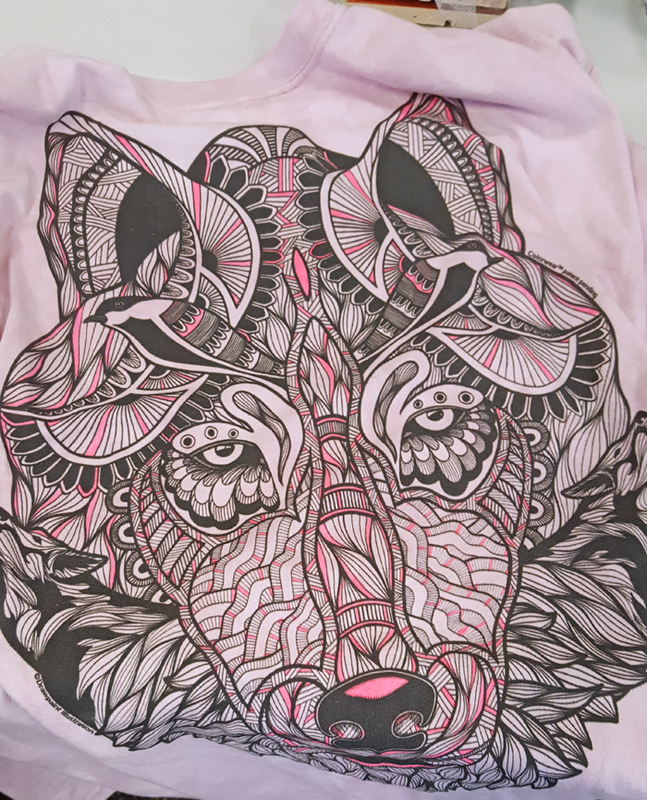 Colorwear T-shirts are awesome! 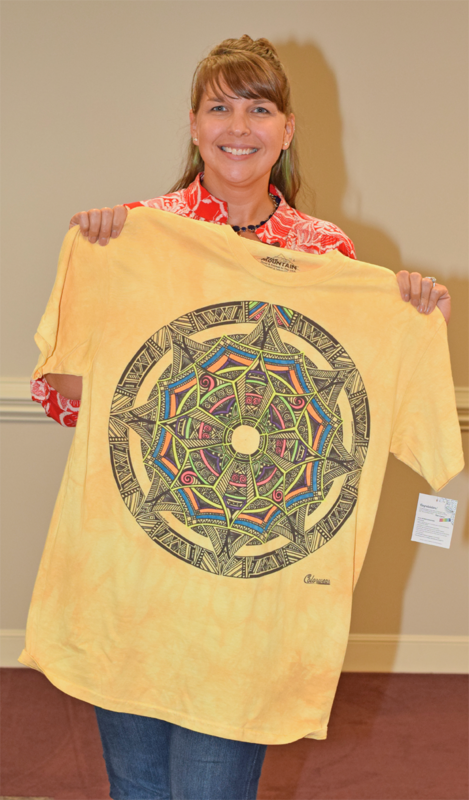 Colorwear is a new product line from The Mountain®. It features 175 different designs from popular adult coloring book artists, and the designs showcase anything from gardens to inspirational scenes. The party photos above should give you a good idea of what a wide selection that they have, and all of their products are environmentally friendly. 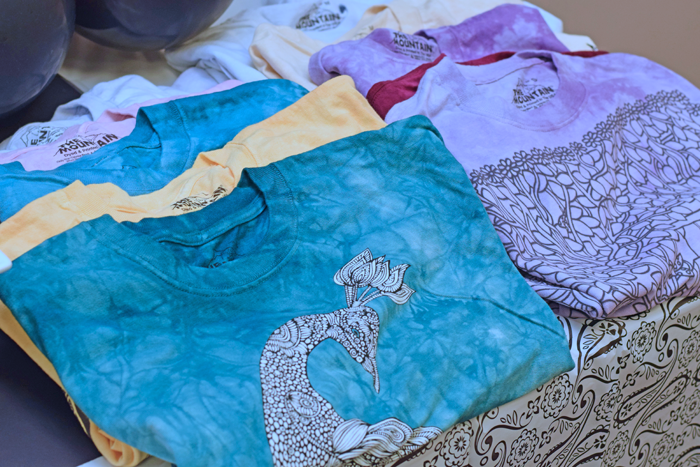 Get 25% off of your Colorwear order by signing up for their newsletter, but you can also enter for a chance to win one of 20 Colorwear Prize Packs! Fine print: Void where prohibited. Influence Central will randomly select 20 winners from all program entries and will handle fulfillment of the winning prizes. Open to US residents only. Contest opens on August 4th, 2016 and closes August 25, 2016. Use the below widget to enter to win. Check out Colorwear on Pinterest, Instagram, Twitter, and Facebook! This is AMAZING! How fun and what a great way to unwind with friends! What a great idea!! I’d love a party like this. This looks SO FUN!! 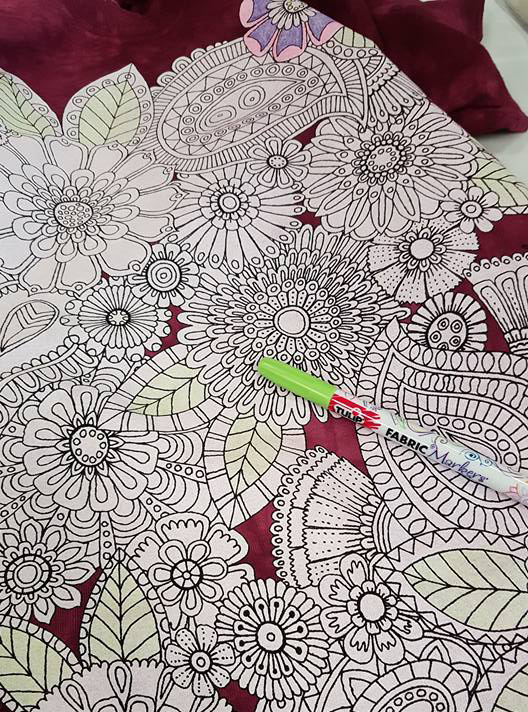 I love coloring! I want to have a Colorwear party! How fun! I haven’t seen these before. This would be fun no matter what age you are! This does sound like it would be a lot of fun, and a great way to unwind! 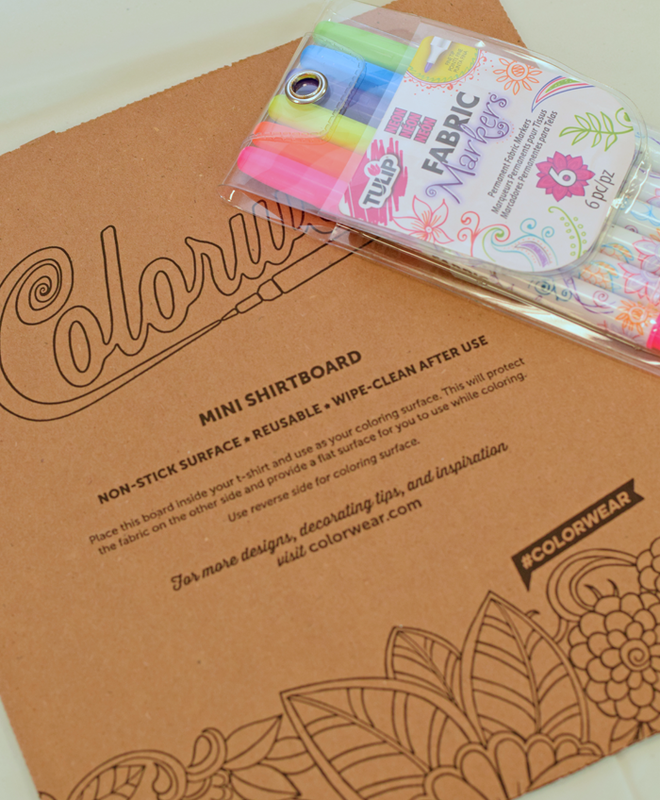 I love coloring and this sounds like such a fun idea!! This is such an awesome idea! 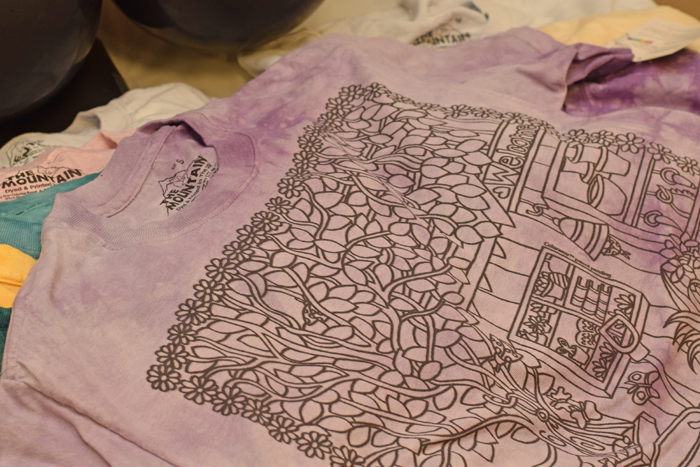 I didn’t even know it t-shirt colouring is a thing. My friends are all over adult colouring books and they would love this. Definitely a super idea for our next girls night. This looks like such a great idea to get together with friends for something unique! My friends and I would have so much fun with something like this. Thanks for the ideas!